This heirloom Okra has showy burgundy pods that grow upon 48″ tall plants. 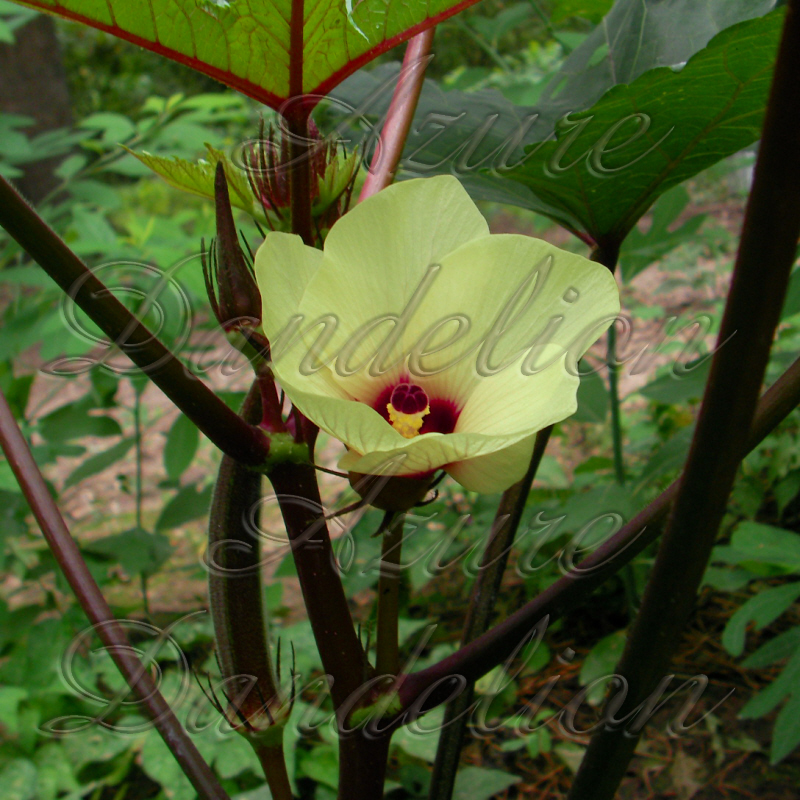 Red burgundy okra has beautiful yellow blossoms that will liven up your garden. Grow Your Own Red Burgundy Okra With Heirloom Seeds From Azuredandelion.com!